“The way that technologies are moving, we can do a lot of innovative things with Noodle Partners. They were the only choice for us,” said Patricia Easton, CGU’s provost. Noodle Partners, the nation’s fastest-growing online higher education provider, today announced a partnership with Claremont Graduate University to debut the first online master’s degree programs in the school’s 92-year history. Working with Noodle Partners, Claremont Graduate University (CGU) will build on existing strengths across the university to launch an array of cutting-edge, market-competitive online degree opportunities by September 2018. CGU is one of the nation’s leading graduate-only institutions, and online programs will thrive by serving students who are experienced learners. By offering flexibly designed programs and degree options online, CGU will be able to reach a larger group of students who will enjoy renowned faculty, small class sizes, and practice-based research, which will provide the tools needed to solve real world problems and build meaningful careers. A reimagining of the traditional online program management (OPM) model, Noodle Partners leverages pre-vetted providers and the internal strengths of university partners to create successful online programs. Bringing external expertise in key areas such as digital marketing, student recruitment, instructional design, and student support, Noodle Partners lowers costs while providing best-in-class service and transparency. For more than 90 years, Claremont Graduate University has been a leader in graduate education. CGU was founded on the premise that education thrives where students and faculty closely engage in scholarship and research on a level that encourages broad-ranging conversation and collaboration. CGU’s mission and tradition of inquiry and research across disciplines to address significant social issues with academic rigor prepares its graduates to assume leadership roles to effect positive change globally. The university pursues this goal with a human-centered approach in an intimate, diverse, student-focused environment that highlights both theoretical and applied learning and research. Founded by a team of education and technology veterans, Noodle Partners creates innovative online and hybrid programs while improving traditional classroom models. 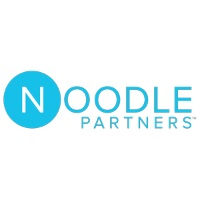 Noodle Partners has the capability to work with universities on every aspect of building a certificate or degree program that they choose—marketing, student recruitment, enrollment, curriculum design, student engagement, support services, graduate placement, and alumni engagement—and provides a high level of fit and finish. For more information, visit noodle-partners.com or follow Noodle Partners on Twitter or LinkedIn.